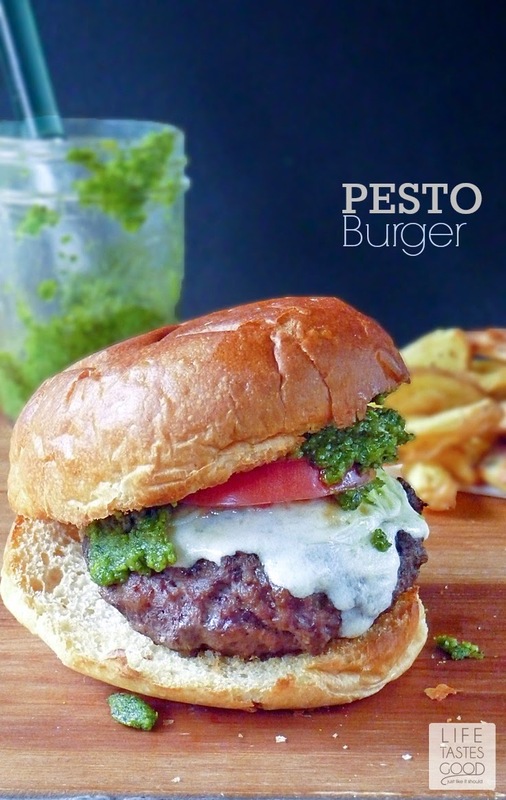 My Pesto Burger Recipe is bursting with the classic flavor combination of basil, tomatoes, and mozzarella cheese all atop a juicy grilled burger. Oh my yumminess! It is so good, y'all! The burger itself is seasoned simply, but generously, with salt and pepper and then grilled to perfection. I chose to grill my burgers in my favorite grill pan indoors, but they will be amazing if cooked on the grill outside too. Melt some fresh mozzarella cheese on these babies, top 'em with a hefty dollop of pesto and a slice of tomato, and you'll be in burger heaven with each and every bite! 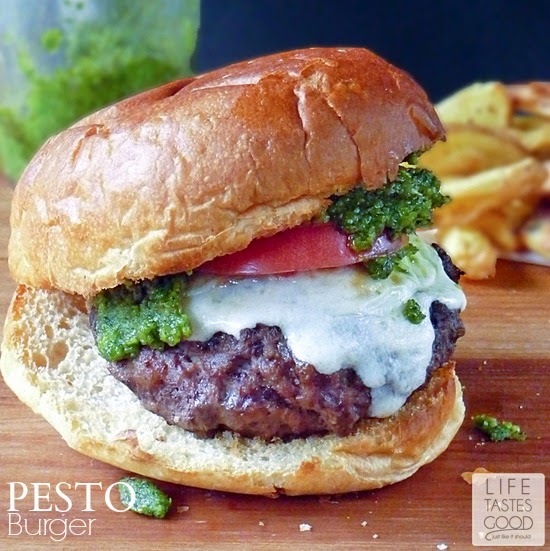 The fresh pesto really adds a zesty deliciousness to an otherwise plain old burger. 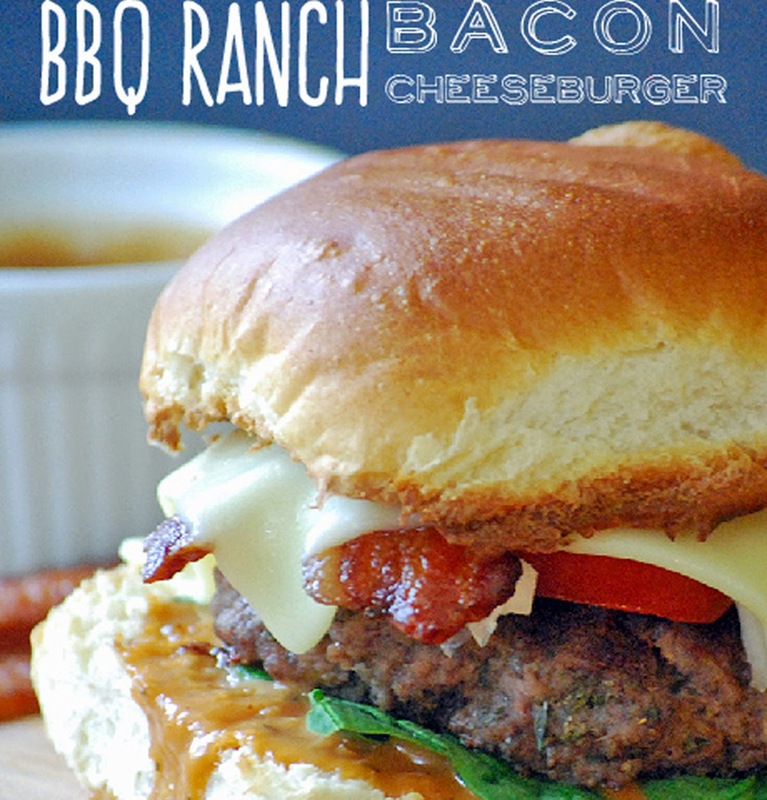 I love how quick and easy this burger meal comes together. I served our burgers with my Best Baked French Fries, and the combo made for a hearty meal we both enjoyed. Don even had TWO burgers in one sitting, and I looked forward to fixing up the leftover for lunch the next day. 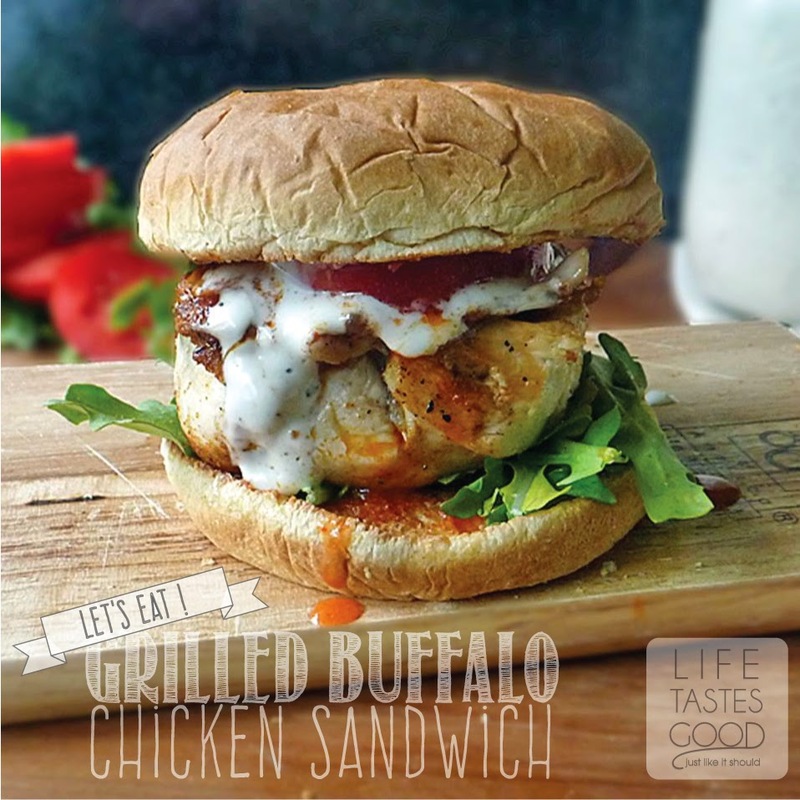 Follow Life Tastes Good's board Life Tastes Good: Beef on Pinterest. Heat a grill pan to 375°F or fire up the outdoor grill to mid-high heat. Generously salt and pepper 1 pound of ground chuck and mix well. Form into four patties. Spray the grill pan with a little olive oil spray. I like to use my Misto Olive Oil Sprayer. Place patties in grill pan and grill for 4-5 minutes without disturbing the patties so they can get a nice sear on them. 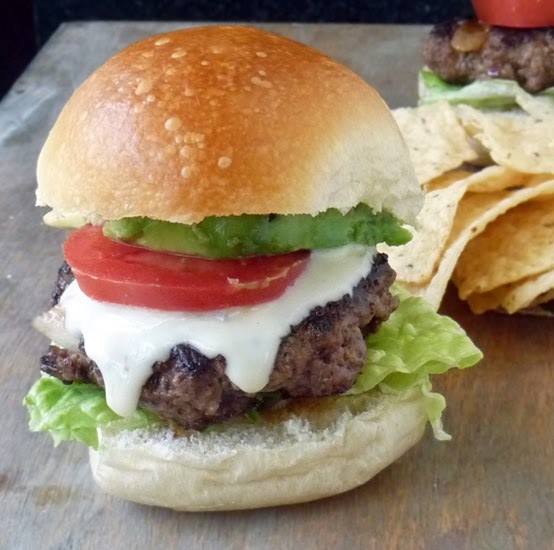 When nicely seared, flip the patties and top with a slice of mozzarella cheese. Cook for another 4-5 minutes or until cheese is melted and meat is cooked through. Place the buns under the broiler in the oven while the meat is searing. Leave the oven door ajar and watch the buns carefully so they don't burn. Brown the buns nicely and remove from oven. Assemble the burgers by placing a burger patty on each bun bottom and top with a slice of tomato and a generous dollop of pesto. Place the bun top on and enjoy! This was my first time putting it on a burger too, and I loved it!! 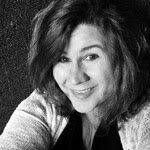 Thanks for stopping by, Mary Ellen! I was waiting to see what you were going to do with that beautiful pesto. Very nice! This looks bursting with flavor! Love it. I love your other sandwiches/burgers also! Thanks, Shelby! We just love sandwiches and burgers! These look Sooo good! I love the combination of pesto with mozzarella and tomatoes - on a burger! So yummy! I have to try these soon! Thanks, Jen! I hope you like them! !